Absolutely Kleen Commercial/Residential Carpet, Tile & Grout and Upholstery Cleaning Services, serving the Daphne, Fairhope, Spanish Fort, Robertsdale and surrounding areas for over 32 years. Office hours are Monday thru Friday 7am-5pm, Saturday by Appointment Only. We are licensed, bonded and insured. We use both the Truck-Mounted steam cleaning and Low Moisture ECO-Friendly systems. Which system should you use? Each system has it's own place. For residential, the Truck-Mounted System is used exclusively, unless requested otherwise due to the density and pile of the carpets encountered. Commercial carpet tends to be a shorter nap and responds better to the Low Moisture Cleaning Method, typically with 1 Hour Drying Times, traffic can resume faster reducing downtime and reoccurring spots are virtually eliminated. For more information about services provided, scroll down for a brief review of Our Services or Click On Pages Listed Above for a more in depth summary. My name is Larry Henson and I'm the Owner/Operator of Absolutely Kleen. I moved to Daphne in 1973 at the age of 6 and attended local schools until graduating in 1984 from Fairhope High School. I married and raised my family here. I worked for another cleaning company in the Fall of 1984 until starting Absolutely Kleen in the Spring of 1986. With big box companies and their high-turn-over-rate you never know who will show up at your door. Rest assured that I will be the familiar face that greets you each and every time and will be the person cleaning for you because I want to earn your business. Thanks for visiting and I look forward to hearing from you. Tile and Grout being so porous can get easily soiled and cleaning can be very time consuming and a back breaking chore without the proper tools and equipment. Give us a call to take care of your tile and grout cleaning for you. From Doctor's offices, restaurants, day care centers to everything in between Absolutely Kleen is equipped to handle your commercial carpet cleaning needs. Most commercial carpeting (office building and such) is cleaned with the Low Moisture System. This system is ECO-FRIENDLY​ (Safe for People, Plants & Pets), Dries in about 1 Hour (Little inconvenience and Traffic can resume fast),Buildings are secure because there are no hoses (which can be a liability for businesses) so doors are locked and no reappearing spots due to the fast drying. 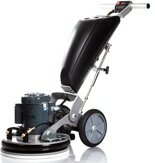 For heavily soiled and greasy type carpets (restaurants) Truck-Mounted Steam Cleaning is the Method that we would use. Not only will we give you the most thorough cleaning, but, we also offer Carpet Appearance Management FREE of charge with regularly scheduled cleanings. What is Carpet Appearance Management? VLM (very low moisture) carpet cleaning now available. Don't want the intrusion of hoses running through you door and throughout your home / business or the inconvenience of longer dry times associated with hot water extraction? Absolutely Kleen can have them back in use in as little as 1 hour after cleaning and it's all ECO-FRIENDLY . This method is more suited towards commercial office carpeting but can be effective in some residential settings. Lets face it, upholstery takes a beating everyday from family members, guests and pets. 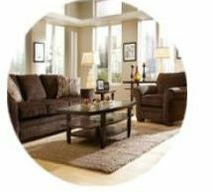 Body oils transfer to the fabric causing soiling, dust settles in the nooks and crannies, food and drinks are spilled, pet hair and dander accumulate and your once new furniture starts looking a little tired and worn. Absolutely Kleen can clean your upholstery and help bring it back to like new again. ​Tell us how we did. Leave us a review.